MTT is coming with a 420 bhp turbine powered demon. The makers of the Y2K are taking the game to the next level. I’m sure all of us turned into a small kid bursting saliva bubbles whenever we came across the mighty big Y2K and its exhaust note. Obviously, who wouldn’t love to hear the Rolls-Royce Allison 250-series gas turbine engine (usually found in, erm, helicopters) roaring under this two wheeled glory. The guys who made this machine are now coming up with another creation that is said to surpass even the Y2K’s performance and clitter clatter. 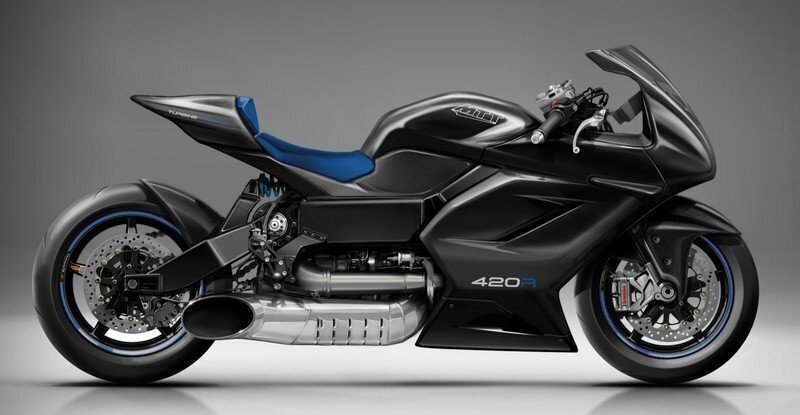 A massive Turbine Super(Hypert)bike that will churn out a colossal 420 hp and 500 ft/lbs. The Y2K was mankind’s beautiful creation that could outrun a Bugatti Veyron, rev more than three times that of a Formula One engine and make the big Ninja ZX-14R look like a commuter. Made by a Louisiana based Marine Turbine Technologies (MTT), the Y2K was unleased in 2000 (hence the 2K) and it took the world charts to a shredder. With a 320 hp engine that ran at 54000 rpm (compressor speed), it weighed lesser than the Hayabusa, almost 70 lbs less. It ran like a mad dog and topped the meter at 250 mph (235 mph electronically limited). Now though, MTT says they are not satisfied. The chaps are currently at work on developing an even lethal machine that is said to prance 420 horses via its Rolls-Royce 250 C-20B gas turbine engine and make a tarmac splitting 500 ft/lbs of torque. It will be called as "The MTT 420RR (Race Ready)"
How fast will it go? “Faster Than You Will Ever Dare To Go,” says MTT. A claimed, if yet unproven, top speed of 275 mph is what we expect out of it at the least. To make you stay planted unlike seen here, the bike is undergoing wind tunnel testing to see how to shape the carbon fibre body panels to protect the rider. As you might have guessed by now, the thrust is not the magician here. Rather, the bike makes use of a proprietary two-speed automatic transmission connected to the rear 200 section wheel with in house designed hydraulic pump that allows it to be mated to the transmission. The whole shebang is controlled by MTT’s engine management system that monitors the power source and the fuelling systems. It runs on kerosene but has been adapted to run on diesel or Jet A1 fuel as well. The 420RR will have redesigned fairings, aluminum tubular construction, TFT instrumentation, steering dampers, advance Öhlins suspension, carbon wheels and a whole lot of more bells and whistles. It will also feature saucepan-size discs front and rear and a bunch of electronic rider aids to help the rider from succumbing to the bike’s calling. Not many details of the bike are released yet, but it won’t be far until we know more and update you with the same. The Y2K retailed at $ 175,000 and we have all reasons to believe that the 420RR will touch the $ 200,000 mark. 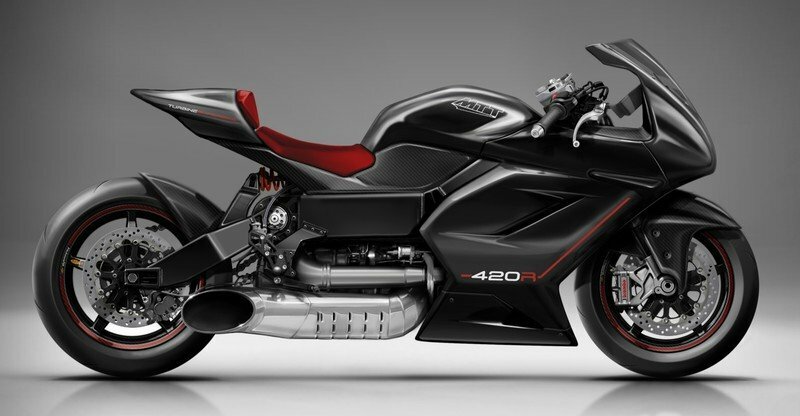 Oh, and although limited in numbers, it will be a street-legal production motorcycle.